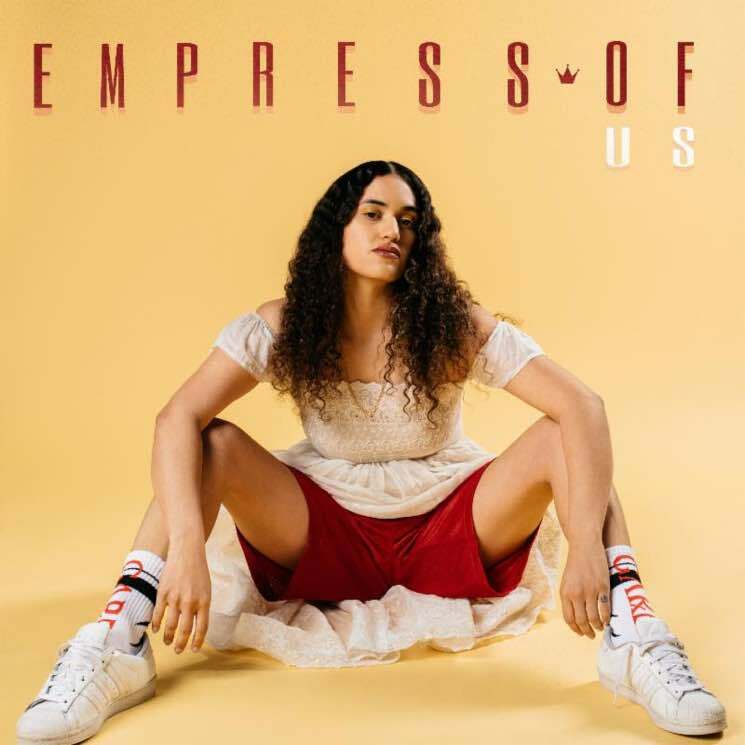 Lorely Rodriguez has announced plans to release her next album under the name Empress Of. Us will arrive on October 19 via Terrible Records. It marks the follow-up to her 2015 debut Me and was recorded all over Southern California. After sitting with the new material for a month — at Topanga Canyon, in Ojai, at her home in Highland Park, and at various recording studios (one that had no windows and one that was occupied by a very noisy cricket) — Rodriguez began to draw in collaborators Dev Hynes of Blood Orange, Dam Griesemer and Jerome Potter of DJDS, and Spanish producer Pional. Nevertheless, she estimates that she self-produced 70 percent of the album. As the titles imply, Empress Of's first record was an introspective emotional experiment, whereas Us is focused on creating community. "It's not just love songs. It's about different experiences of the heart," Rodriguez said in a statement. "I want it to be like a mirror, and [the audience] sees a little bit of themselves in every song." The first preview of the new album arrives with lead single "When I'm with Him," which has been treated to a colourful music video. Scroll down to see the full tracklisting and give the new video a watch.